Standard socks are only made to last a few months. When holes begin to appear, your feet are at risk of damage. 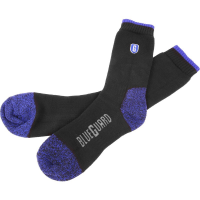 Blueguard indestructible socks are lifetime guaranteed to not get holes. This means your feet are kept comfortable all day, every day. Are you constantly throwing away old and worn pairs of socks? 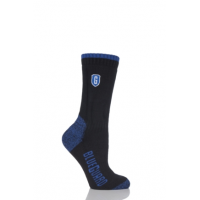 Standard sports socks only last on average 20,000 cycles. Within a few months of being worn and washed, holes begin to appear, meaning your feet are left unprotected. This costs you money and takes up your time. Blueguard has the solution. The indestructible socks are lifetime guaranteed to not get holes. How does it guarantee this? Long filament polymers combine to create high-strength, durable yarn. 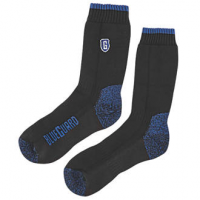 This makes each pair of socks practically indestructible, lasting over 46 times longer than standard sports socks. 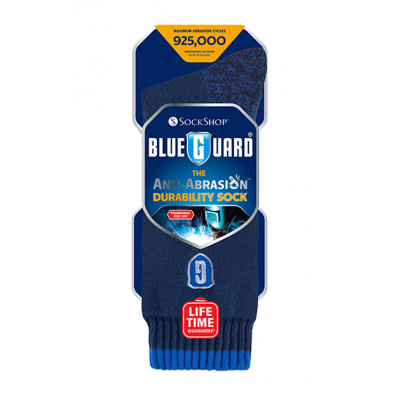 If holes are worn into your socks, Blueguard’s lifetime guarantee means you receive a brand-new pair for free. Wear your socks day in, day out, without having to worry about throwing them away. You save on the money it costs and time it takes to constantly buy and throw away your worn-out socks. Put the indestructible socks to the test. 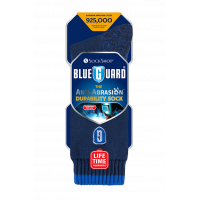 Contact Blueguard now. 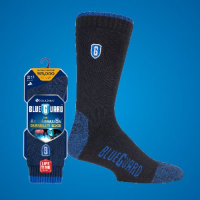 These are just a few of the many benefits that make Blueguard socks stand out from the competition. Guaranteed to last: If you wear a hole in one of your socks, simply send it back to us for a replacement. 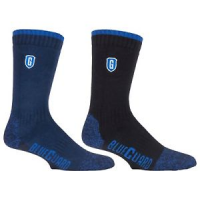 Saves money: Blueguard socks last 46 times longer than standard sports socks. That’s 46 pairs of socks you save money on not buying. Comfortable: With comfort fit, arch support, full cushion, and a cotton-rich body, your socks will give you the comfort and support needed to work throughout the day. 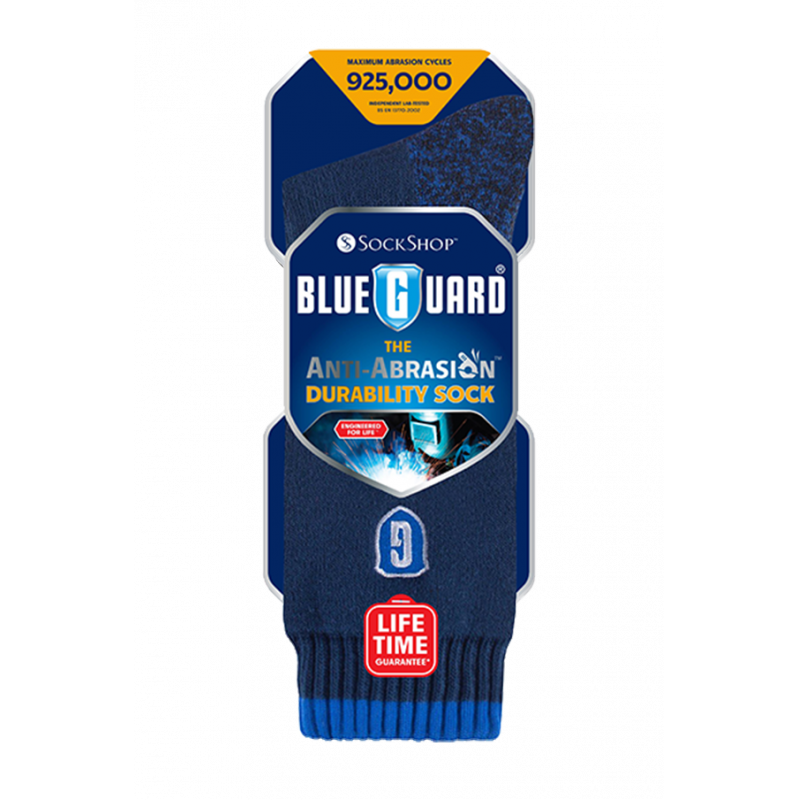 Tried and tested: Tested to British Standards EN 13770:3002, giving you the reassurance that your socks will last a lifetime. 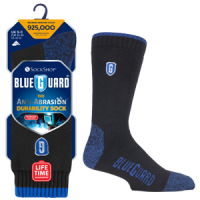 Variety available: Anyone can find the right pair of Blueguard socks for them.